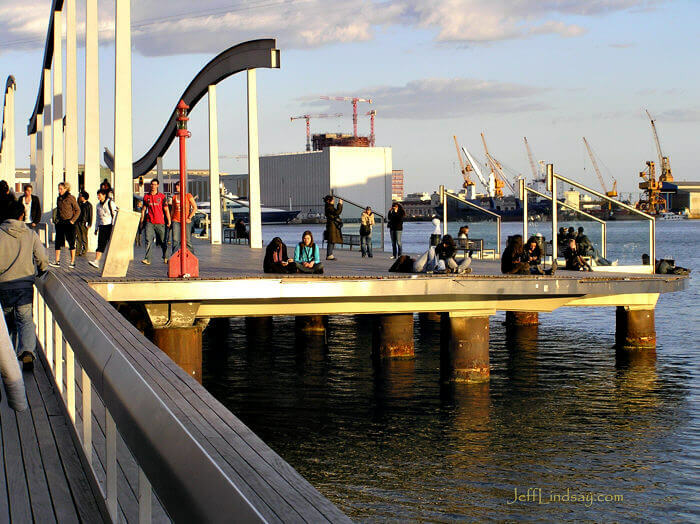 Barcelona is such a beautiful city. I've already got a page of people shots from the city. Here is a second page with other views I enjoyed. Again, this is from my 2008 visit - a family sprong break trip with my sister and mother-in-law along. It was terrific. 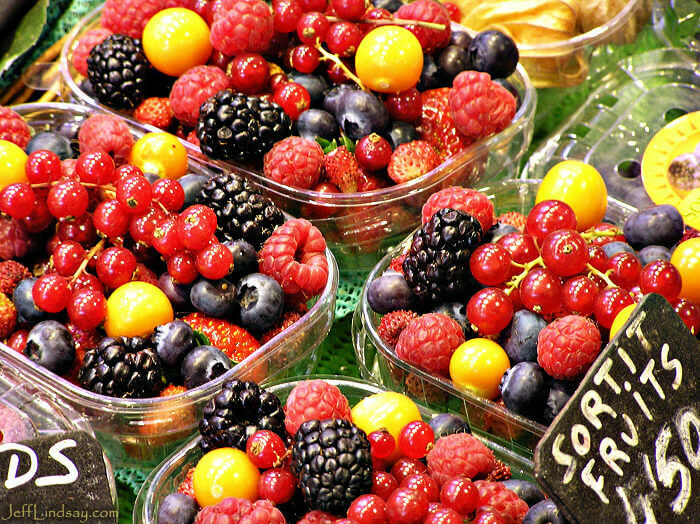 Fruit on display in Barcelona's central market, March 2009. 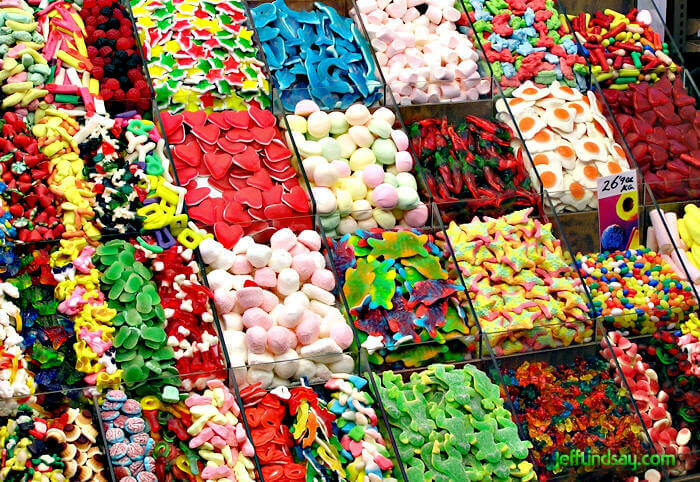 This is the photo that I use for my Twitter background for my LDS-related Twitter account, Mormanity, but with an extra "L" in front of the "DS" to give "LDS" in the lower-left corner. OK, a slight edit. 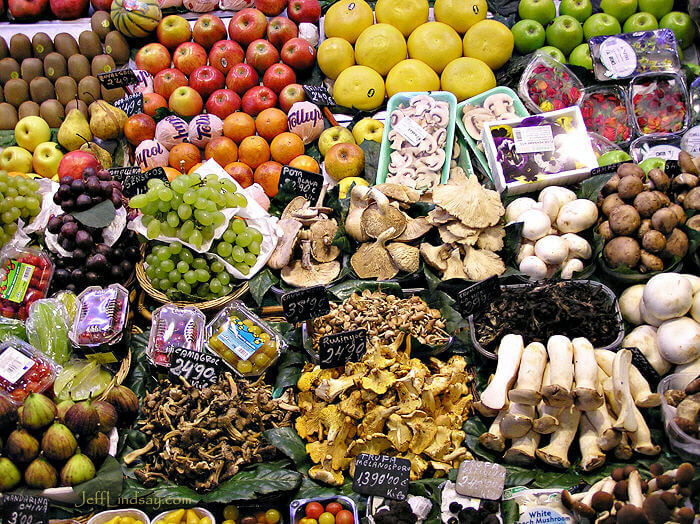 Mushrooms and fruit on display in Barcelona's central market, March 2008. 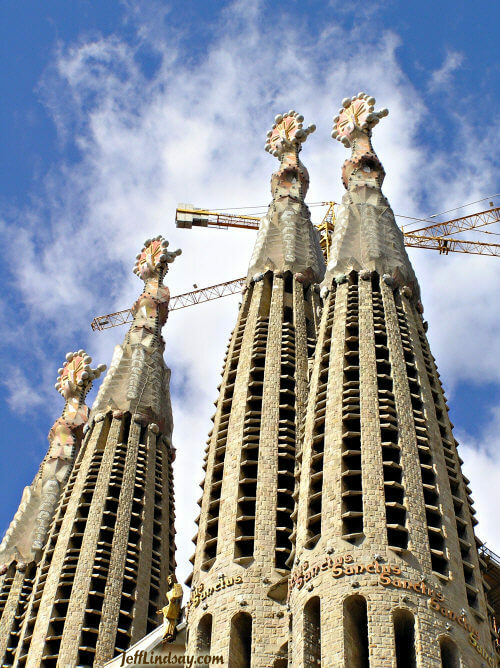 Barcelona's most incredible building--perhaps the world's most incredible building--the inpossible, visionary, crazy and inspiring Sagrada Familia of their wild and irrepressible genius architecht, Antoni Gaudi. 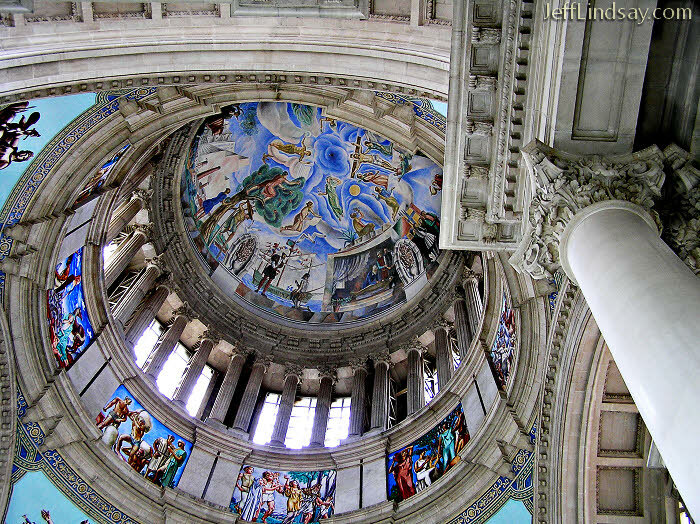 This building may take another century to finish, but it is already a masterpiece beyond description. 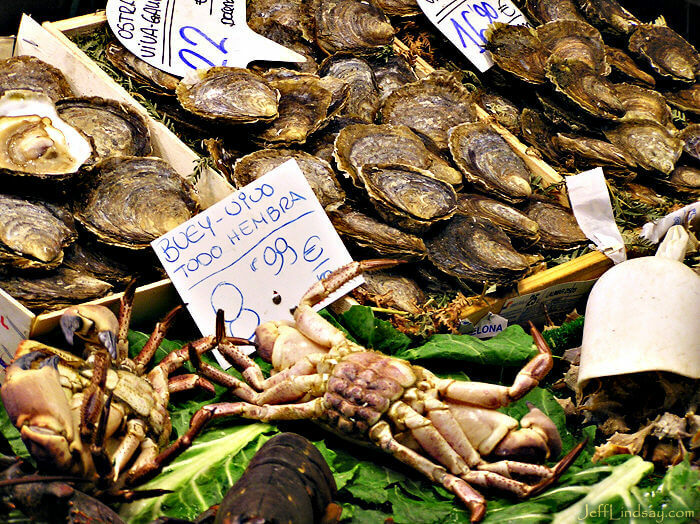 Fish mongers a-mongering. Glad they are using fish instead of fear or war. 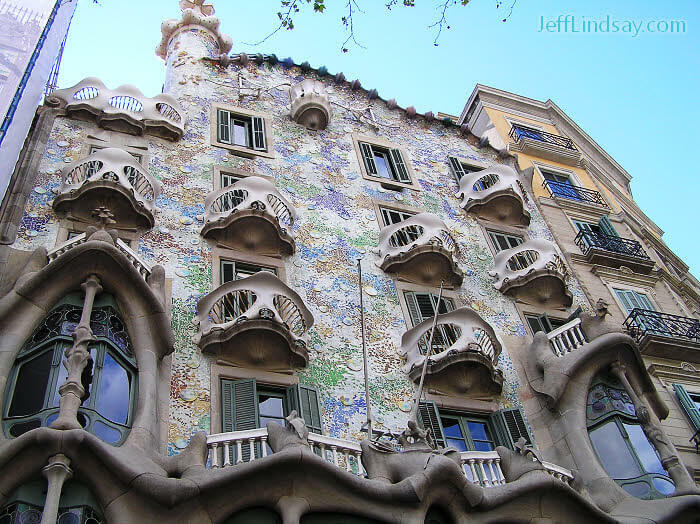 Another creation by Gaudi in downtown Barcelona. 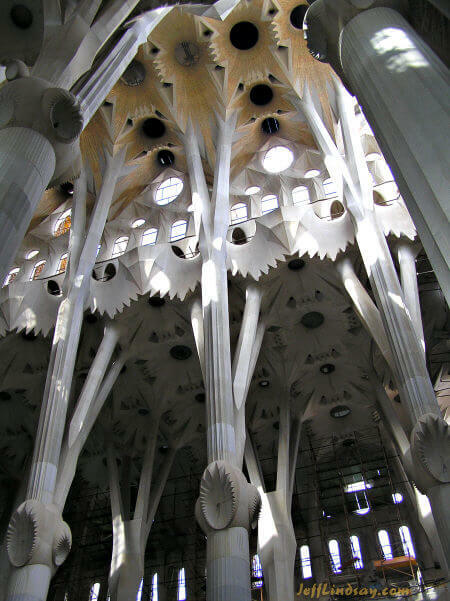 Inside view of Gaudi's amazing Sagrada Famila. 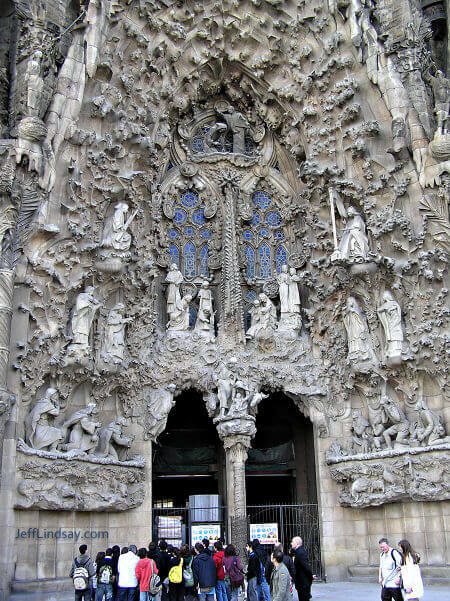 Outside view of the Sagrada Famila. 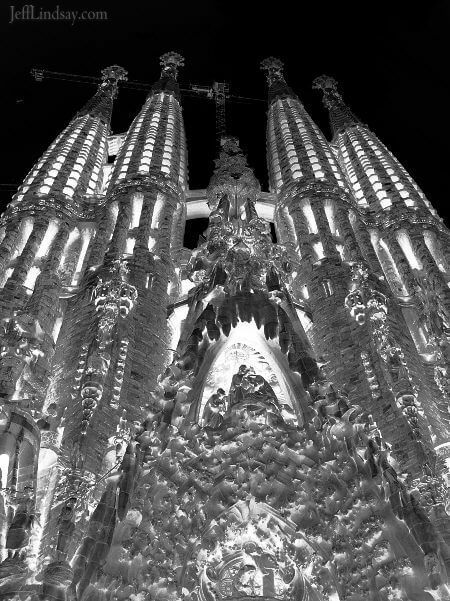 Inverse black and white image of Gaudi'a great cathedral. 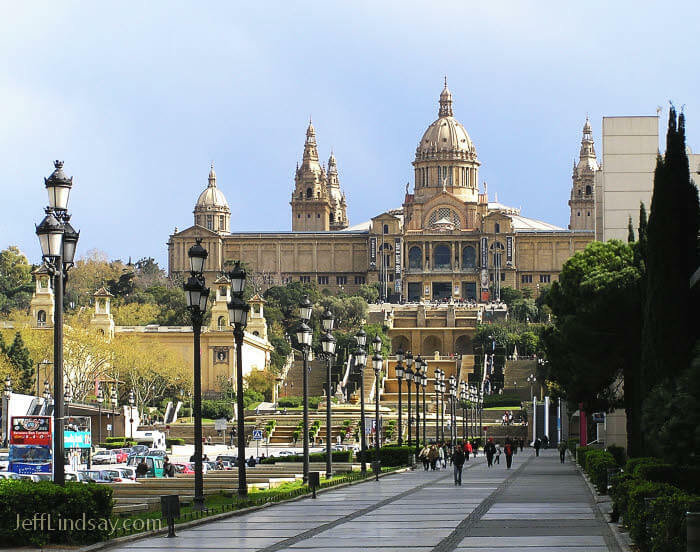 Natinal Art Museum - a spectacular palace of art. 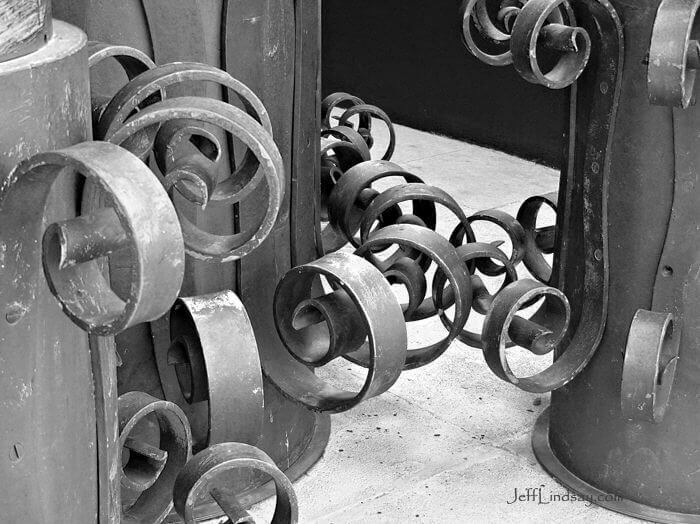 Detail of some wrought iron work on the outside columns of the National Museum. 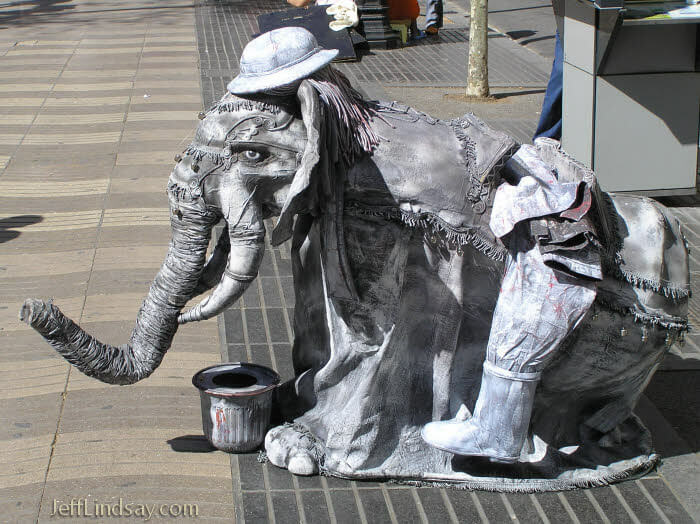 One of many street performers on Las Ramblas. Scary elephant. 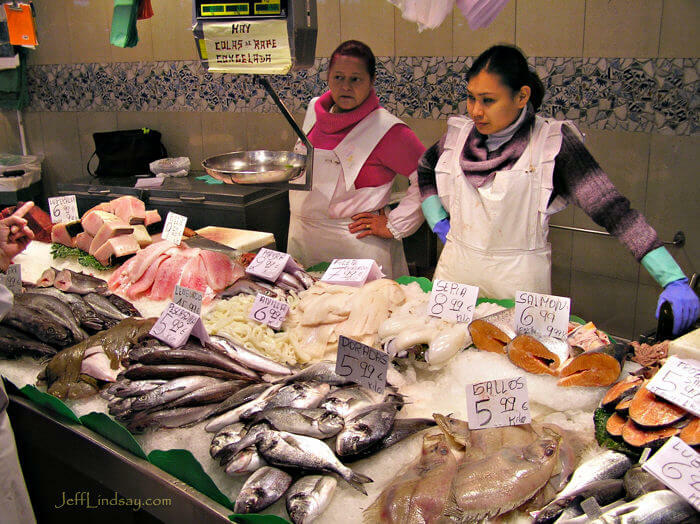 Another mouth-watering scene from the colorful central market. 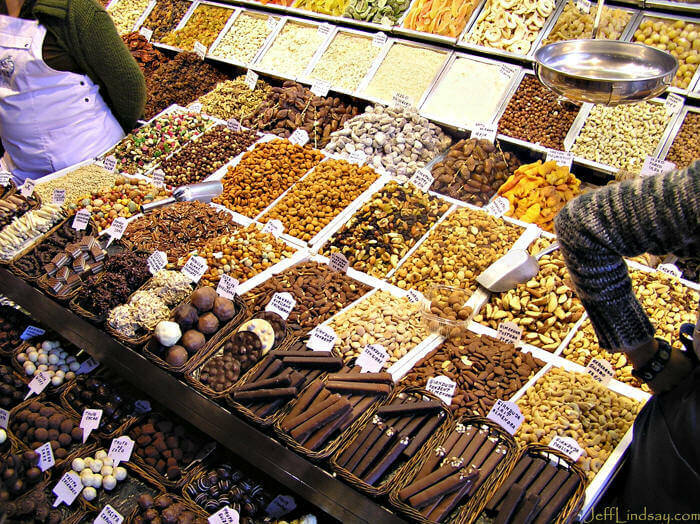 So much to buy, so little time! 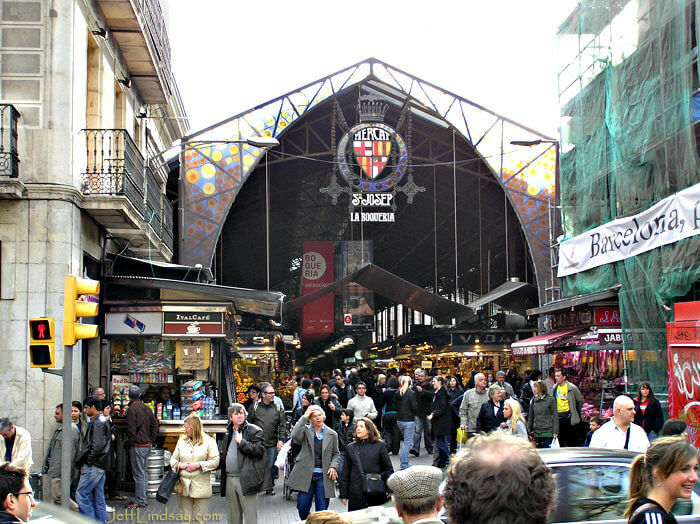 Entrance to the great marketplace. Somewhere in there my Flip video camera was taken by a pickpocket. Still remember the bump that probably was part of the theft. I was distracted taking photos - an easy mark. 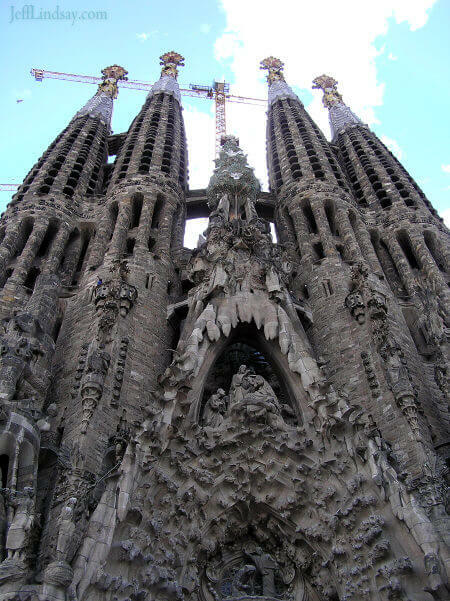 One face of the Sagrada Familia. So much detail on this impossible building! 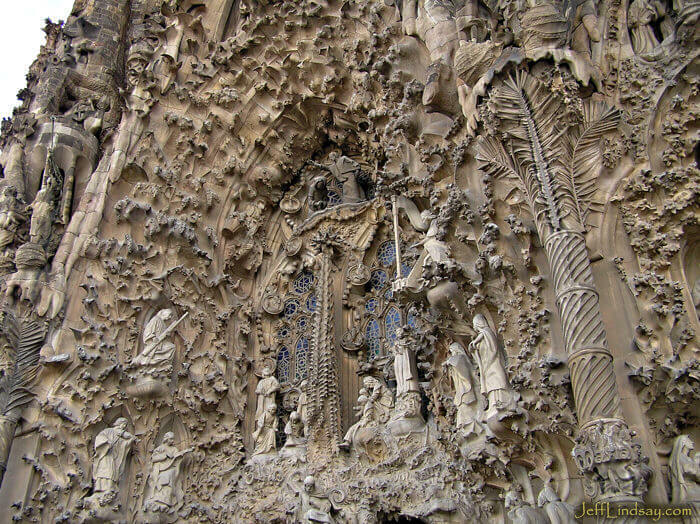 Another face of the Sagrada Familia. 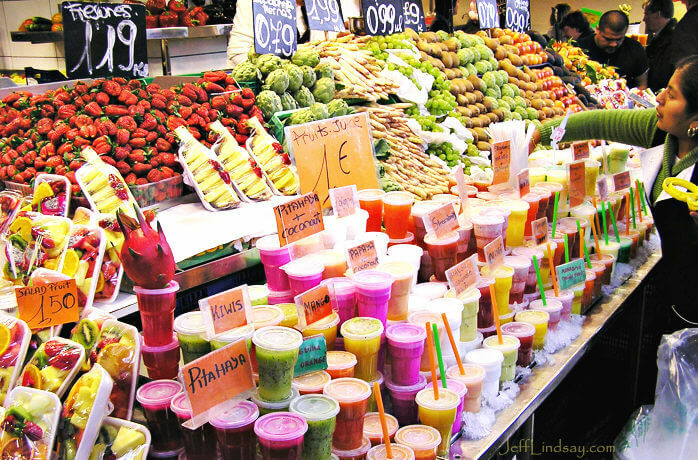 Fresh fruit and fruit drinks--delicious! 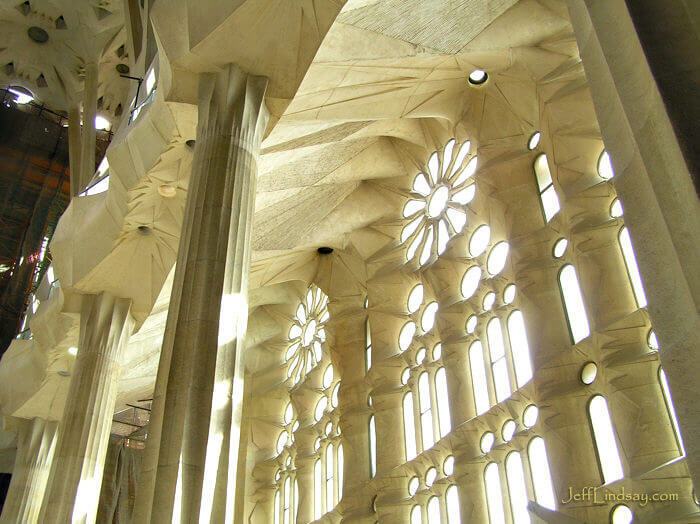 Another inside view of the Sagrada Familia. All photos are copyright ©Jeff Lindsay, 2007-2010, and are the property of Planet Lindsay, LLC. Please request permission before using photos for any purpose. Some are available for sale.